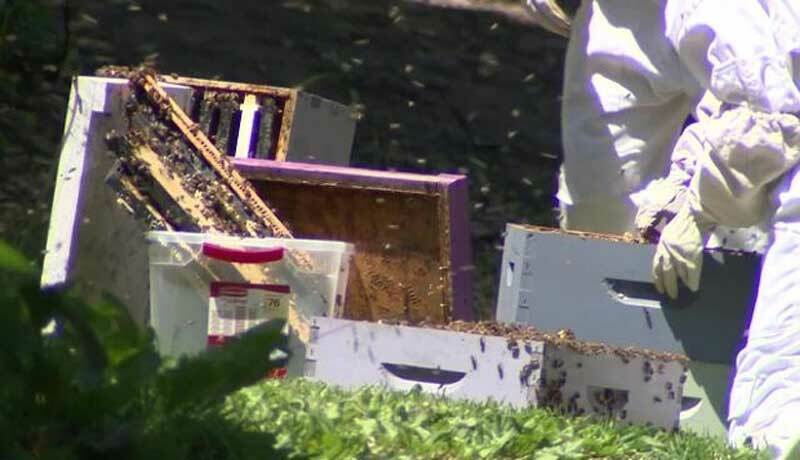 A police investigation has been started after approximately 20,000 bees were discovered inside a car in Fitchburg, Massachusetts. Authorities responded to a report of a large presence of bees. Bee keepers were called to the scene, and removed several bee hives from the trunk of the vehicle. Police say they are investigating why the bee hives were intentionally placed into the trunk of the vehicle. One woman was stung on the nose by a bee but did not require medical attention. The bees are believed to have been stolen, according to Fitchburg Police Capt. Steven D. Giannini. He said the bees were stolen from a city outside of Fitchburg and said that they're currently working with authorities in that town on the case. Giannini said the incident remains under investigation.